Have you noticed? The more you install softwares, the more the context-menu becomes blocked. 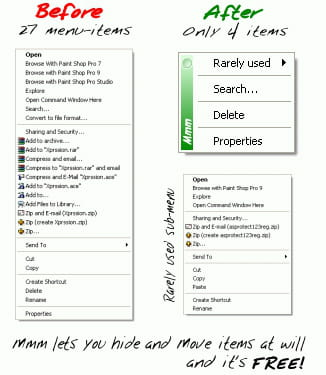 Mmm Free allows to mask the least used entries, lightening largely the menu. Latest update on June 22, 2016 at 04:14 AM.